Why Sleep is so Important to all? 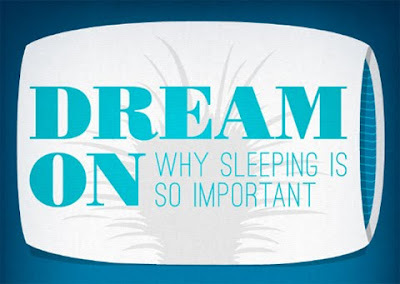 Home » Health » Why Sleep is so Important to all? Do you ever try to ask yourself why we need to sleep? I know that you'll tell me that this is so basic question that even a 7 year-old child can answer that. But with this infographic below, you will more understand how important to have a sleep. Nowadays, our generation has been evolved from basic to modern and high-tech, and I do believe that even our personal life have changed because of our environment and surrounding. This infographic showcases some studies on just how dangerous—and costly—sacrificing sleep can be, and it concludes with some facts on how you can try and improve your sleep quality if it’s something you struggle with, according to frugaldad.com. Comments or suggestions about "Why Sleep is so Important to all?" is important to us, you may share it by using the comment box below.